Cherokee waterfront home with 4 bedrooms, 3 baths--perfect to entertain or for 3 generations of living together. 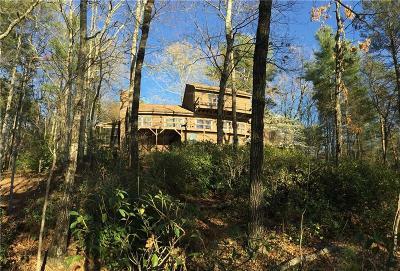 MOUNTAIN views, LAKE views, and privacy abound on this 13.98-acre lake property. Heart Pine floors, vaulted ceilings, windows and sunlight. Big closets, spacious rooms, and a generous setting.